Eco Elicina Pocket is designed to be taken with you everywhere, in your purse, brief case, back pack or simply your pocket. 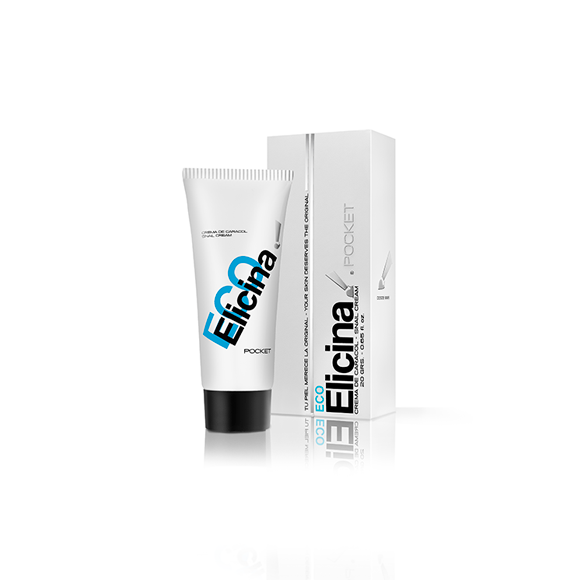 Eco Elicina is a Nourishing hypoallergenic cream based on the chilean snail “Helix Aspersa Muller” extract. Hepls decreases the appearance of wrinkles, stretch marks, scars, sunspots, keloids, burns and acne.